2016 Rockshox Recon RL Solo Air Fork set to 140mm with a 51mm offset and non-boost 15x100mm spacing. The steerer is cut to 7”. The fork works well. $200 plus shipping and paypal fees. 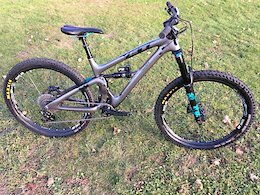 2017 Rockshox Pike RC. 29/27.5+ fork set to 140mm with 51mm offset and 15x110 boost spacing. The steerer is cut to 7.5”. $350 plus shipping and paypal fees. 2017 or 2016 Rockshox Recon RL. Fork works well. 130mm, solo air, with 42mm offset and 15x110 axel (boost). Steerer cut to just under 8”. $200 plus shipping and paypal fees. 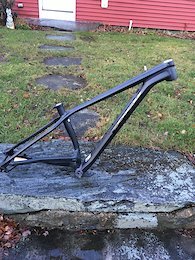 Rockshox Totem fork. 2012, but it could be another year. The fork needs a service. It is set to 180mm and is for 26” wheels. 1 1/8" steerer is cut to 8.25”. $100 plus shipping and paypal fees. Rockshox Lyrik set to 160mm with a 51mm offset. This is the RCT3 Model with boost spacing (15x110). Fork works excellent. 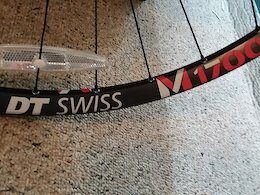 The steerer is cut to 7.5”. It can run 29 or 27.5+ wheels. $450 plus shipping and fees. Manitou Mattoc Pro model fork. 15x100 spacing set to 160mm. The fork works well but there is a small mark on the stanction which is pictured. It is a scratch but does not affect performance. The steerer is cut to 8”. $200 plus shipping and paypal fees. 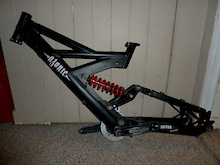 Used medium Santa Cruz nomad. Good condition. 26", Bike is fully capable and ready to rock. 1x10sram x9 Crank bros dropper Thompson stem Fox 36 Cancreek in line shock New cables, New brakes sram level Completely gone through and cleaned.